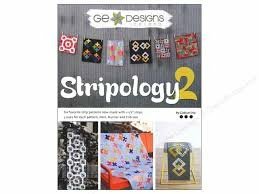 Check out the Stripology Ruler too. Pattern book by Gudrun Erla featruring 6 patterns. Each patternis in 3 sizes: mini quilt, table runner, or crib size. Uses the Stripology Ruler to make cutting quick and efficient.